Come on, President Trump! Is this fake news or solid scientific evidence that the number of flood events has dramatically increase over the past 5 decades - perhaps excluding Australia? Full understanding of root system development and functioning, to identify root traits contributing to crop yields in various scenarios, is a research frontier that might enable a second “Green Revolution” needed to sustain world food security . 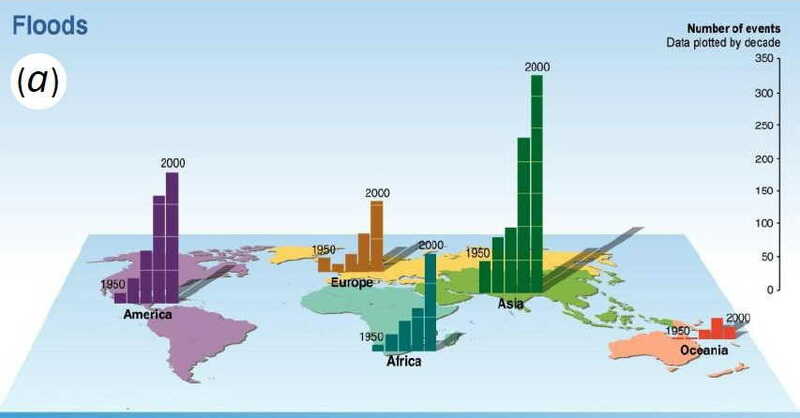 Changing rainfall patterns have resulted in increased number of floods worldwide, so that development of flood tolerant crops is a priority [2, 3]. Water-saturated soils (i.e. waterlogged soils) are often anoxic so that roots of poorly adapted species suffer O2 deficiency resulting in reduced respiration and a severe energy crisis, whereas well-adapted wetland species can thrive . Roots of many wetland plants possess an iducible barrier to restrict radial O2 loss, which in turn enhances the longitudinal diffusion of O2 along the gas-filled tissues (aerenchyma) towards the root tip . High resistance to radial O2 diffusion may result from suberin deposition in exodermal cell walls (e.g., several wetland species: [6-8]). The barrier to radial O2 loss could, in addition to restricting O2 loss, also reduce entry of soil phytotoxins (e.g., organic acids, H2S and Fe2+ produced by anaerobic microorganism in the anoxic soil) into roots in waterlogged soils . 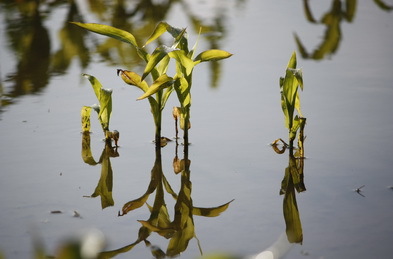 Maize lacks a barrier to radial oxygen loss and is consequently particularly susceptible to long-term waterlogging or flooding. We currently work with teosinte (a wild maize relative from Amazonas) that possesses a barrier, and our Japanese colleagues aim at transfering it to maize. We have excellent research facilities for flood research here at our campus in Copenhagen. This photo is from our glasshouse situated on roof of our main building. We have recently installed high-output lead lamps from Valoya in Finnland and these help us working with plant cultures such as wheat, barley and wild wetland plants around the year. The signaling pathway for the barrier to radial O2 loss induction remains to be discovered . Ethylene (a universal gaseous plant hormone) sensing triggers the formation of inducible aerenchyma , but ethylene does not induce the barrier to radial O2 loss in rice . Moreover, high CO2 or low O2 which are common characteristics of waterlogged soils also do not stimulate a barrier formation . A transcriptome analysis using laser-microdissected tissues of the outer cell layers of rice roots revealed that many genes involved in suberin biosynthesis were strongly up-regulated during formation of a barrier to radial O2 loss in rice . Interestingly, compounds resulting from anaerobic metabolism of soil microorganisms can induce a barrier to radial O2 loss in roots of some wetland species; these compounds include sulfide , reduced Fe  and organic acids [16, 17]. Hence, the aims of the projects are to assess the delicate balance between anaerobic metabolites acting as signaling molecules for the formation of a barrier to radial O2 loss and the toxicity of these metabolites when acting as phytotoxins. The findings are likely to result in a change in paradigm so that the barrier in the future may be seen primarily as a feature protecting the root against intrusions of toxins with a secondary function to also enhancing internal aeration. From an evolutionary point of view, if the primary function was related to O2, it would seem a risky strategy to base the signaling on molecules that are only vaguely related to tissue O2 status! 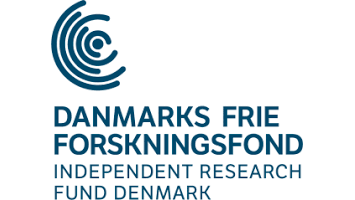 The project "Inducible barriers to radial oxygen loss in plant roots" is funded with 2.5 MM DKK by Independent Research Fund Denmark and also 0.5 MM DKK by EU Horizon 2020 via a top-up scholarship to Lucas Peralta who works as a PhD student on the project. 1. Lynch JP (2007) Roots of the second green revolution. Australian Journal of Botany 55: 493-512. 2. Bailey-Serres J, Lee SC, & Brinton E (2012) Waterproofing crops: effective flooding survival strategies. Plant Physiology 160: 1698-1709. 3. Pedersen O, Perata P, & Voesenek LACJ (2017) Flooding and low oxygen responses in plants. Functional Plant Biology 44: iii-vi. 4. Bailey-Serres J & Voesenek LACJ (2008) Flooding stress: acclimations and genetic diversity. Annual Review of Plant Biology 59: 313-339. 5. Colmer TD (2003) Long-distance transport of gases in plants: a perspective on internal aeration and radial oxygen loss from roots. Plant, Cell & Environment 26: 17-36. 6. Armstrong W, Cousins D, Armstrong J, Turner D, & Beckett P (2000) Oxygen distribution in wetland plant roots and permeability barriers to gas-exchange with the rhizosphere: a microelectrode and modelling study with Phragmites australis. Annals of Botany 86: 687-703. 7. Soukup A, Armstrong W, Schreiber L, Franke R, & Votrubová O (2007) Apoplastic barriers to radial oxygen loss and solute penetration: a chemical and functional comparison of the exodermis of two wetland species, Phragmites australis and Glyceria maxima. New Phytologist 173: 264-278. 8. Kotula L & Steudle E (2009) Measurements of oxygen permeability coefficients of rice (Oryza sativa L.) roots using a new perfusion technique. Journal of Experimental Botany 60: 567-580. 9. Armstrong W (1979) Aeration in higher plants. Advances in Botanical Research 7: 225-332. 10. Yamauchi T, Colmer TD, Pedersen O, & Nakazono M (2017) Regulation of root traits for internal aeration and tolerance to flooding stress. Plant Physiology: in press. 11. Voesenek LACJ & Bailey-Serres J (2015) Flood adaptive traits and processes: an overview. New Phytologist 206: 57-73. 12. Colmer TD, Cox MCH, & Voesenek L (2006) Root aeration in rice (Oryza sativa): evaluation of oxygen, carbon dioxide, and ethylene as possible regulators of root acclimatizations. New Phytologist 170: 767-777. 13. Shiono K, Yamauchi T, Yamazaki S, Mohanty B, Malik AI, Nagamura Y, Nishizawa NK, Tsutsumi N, Colmer TD, & Nakazono M (2014) Microarray analysis of laser-microdissected tissues indicates the biosynthesis of suberin in the outer part of roots during formation of a barrier to radial oxygen loss in rice (Oryza sativa). Journal of Experimental Botany: 4795-4806. 14. Armstrong J & Armstrong W (2005) Rice: sulfide-induced barriers to root radial oxygen loss, Fe2+ and water uptake, and lateral root emergence. Annals of Botany 96: 625-638. 15. Mongon J, Konnerup D, Colmer TD, & Rerkasem B (2014) Responses of rice to Fe2+ in aerated and stagnant conditions: growth, root porosity and radial oxygen loss barrier. Functional Plant Biology 41: 922-929. 16. Kotula L, Colmer TD, & Nakazono M (2014) Effects of organic acids on the formation of the barrier to radial oxygen loss in roots of Hordeum marinum. Functional Plant Biology 41: 187-202. 17. Armstrong J & Armstrong W (2001) Rice and Phragmites: effects of organic acids on growth, root permeability, and radial oxygen loss to the rhizosphere. American Journal of Botany 88: 1359-1370.